Accor – Newsroom | IBIS INTRODUCES YOU TO DREAM APPAREL. IBIS INTRODUCES YOU TO DREAM APPAREL. ibis is dedicating its first line of shirts, tailor-made directly from the finest new ibis bedsheets, to anyone who dreams of staying in bed following a good night’s sleep. The exclusive “Dream Apparel” initiative has been specially created for members of the ibis BUSINESS program, with the idea of prolonging their perfect night into a dream day. They will be offered a custom-tailored shirt during their stay in an ibis hotel. A professional tailor will take guests’ measurements on their arrival at the hotel and will present their handmade shirt to them the following day. More than ever before, the brands ibis hotels, ibis Styles and ibis budget are making a priority of providing a personalized guest experience. Gloryparis has therefore conceived this totally original initiative, “Dream Apparel”, which has been specially created for holders of the ibis BUSINESS card who stay in ibis brand hotels for at least 10 nights a year. Ibis BUSINESS is thus offering its members a fulfilling and original experience an indulgence for them and them alone. 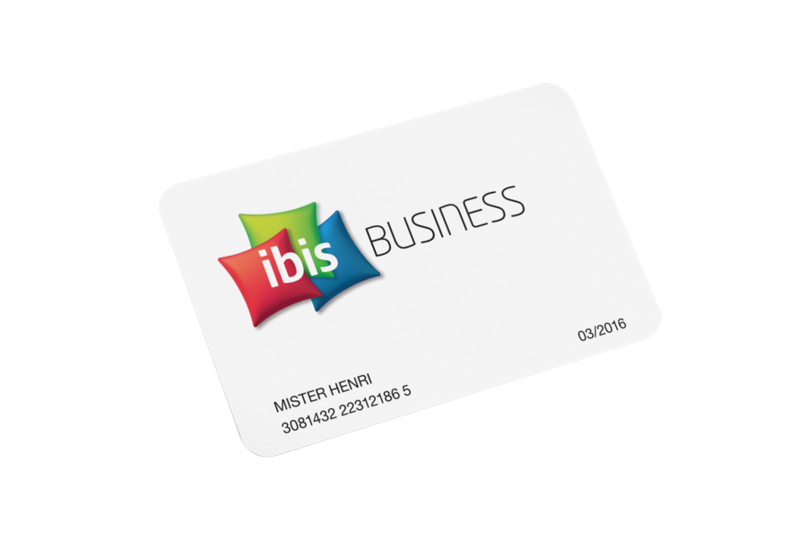 Initially created to fulfil the specific needs of business travelers, the ibis BUSINESS card is now available to all guests, enabling them to optimize accommodation costs and enjoy specific benefits anywhere in the world. *The ibis business card is not available in China. In a viral video, ibis has staged the encounter between BUSINESS guests and tailors. The initiative will be rolled out in 10 ibis, ibis Styles and ibis budget brand hotels in France and worldwide, between March 5 and April 4 (London, Berlin, Paris, Geneva, Cologne, Zurich, Lille, Strasbourg and Saint-Quentin) and April 6 (Barcelona). The video will be broadcast on social networks to ensure maximum exposure. AccorHotels is a world-leading travel & lifestyle group and digital innovator offering unique experiences in more than 4,300 hotels, resorts and residences, as well as in over 10,000 of the finest private homes around the globe. Benefiting from dual expertise as an investor and operator, AccorHotels operates in 100 countries. Its portfolio comprises internationally acclaimed luxury brands including Raffles, Sofitel Legend, Fairmont, SO Sofitel, Sofitel, onefinestay, MGallery by Sofitel, Pullman, Swissôtel and 25hours Hotels; as well as the popular midscale brands Novotel, Mercure, Mama Shelter and Adagio; the much-prized economy brands including JO&JOE, ibis, ibis Styles, ibis budget and the regional brands Grand Mercure, The Sebel and hotelF1. AccorHotels provides innovative end-to-end services across the entire traveler experience, notably through the acquisition of John Paul, world leader in concierge services.